Whether you believe in real magic – spelt magick usually to differentiate from sleight of hand and trickery – or not, history is full of people who did and who were believed to be great magicians. Apollonius of Tyana, for example, who was born just a little before Jesus and spurned a life of luxury and wealth to follow in the footsteps of Pythagoras. Amongst other tales, Apollonius is said to have found the philosopher’s stone and gained eternal life. Then there is that character from the bible that we were all told was evil growing up – Simon Magus. Poor Simon! Simon does appear to have been capable of working miracles – actually not unlike those that Jesus did. But, he was seen as a threat to the early christian church and demonized as is their way. He apparently could levitate and tell the future and he had a hand in gnosticism. The tale of Nicholas of Flamel is equally intriguing as an angel gave him a book in a prophetic dream and the very next day the book was offered to him for sale. He bought it and spent a lifetime trying to decipher it. According to legend, he did and also has eternal life. By the middle ages, we meet men who seemed to tread a very fine line in society. Often they were extremely bright and gifted speaking many languages and having expertise in medicine, alchemy and magic. Some were even ordained members of the church! These men, the likes of Agrippa, Paracelsus, John Dee and Francis Bacon, were part magicians, part alchemists and part scientists. They lived in an era when natural magic was as much a part of the world as religion. Many of them traveled working miraculous healings, prophesising the future and turning metals into silver and or gold. Sometimes, they fell afoul of the authorities and had to suddenly leave town charged with things like raising the dead! I guess that was one of the dangers of the time they lived in. By the 17th Century, various groups of thought had begun to permeate western culture and men like Sir Isaac Newton risked their lives and reputation secretly studying alchemy and magic. Meanwhile, Eliphas Levi set the foundations for modern magic such as the tarot and even consulted the spirit of Nicholas Flamel in the process! In more recent times, people like Austin Osman Spare created new forms of magic intermingled with art and masturbation. I love his art works and would love to own one or two pieces and his sigil magic techniques are extremely interesting. Then we have men like Franz Bardon who were reputed to be able to change the weather and was persecuted by both the Nazis and the Communists but left a small but rich legacy of magical work for us to ponder. Finally, there is the unknown student of Mr. Bardon, who in an intriguing manner interacts with a discussion forum before making his transition from the world. In the process we learn how he can project fire from his belly and water too to put out the fire but no longer feels the need to do so. These tales are all highly entertaining and enlightening. 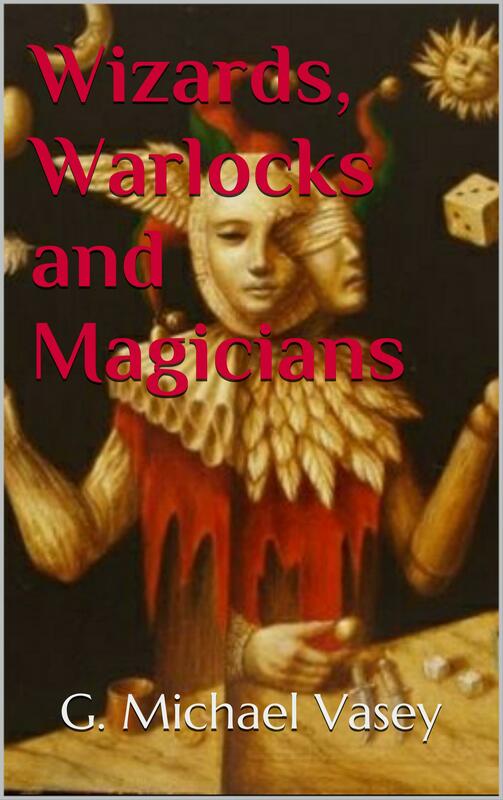 As I wrote my new book – Wizards, Warlocks and Magicians – I spotted a number of common characteristics of these men. I wonder if you will too? Available now on all Amazon sites ….